Villa Campestri Olive Oil Resort is just a few kilometres drive from the Golf Club Poggio dei Medici. The 18-hole, par 73 course was designed by Baldovino Dassù and architect Alvise Rossi Fioravanti to United States Golf Association (USGA) standard. Opened in 1995, the course measures 6,397 metres and is open all year round. A PGA Professional is available for private lessons. Discover other Golf courses in Tuscany. Parco di Firenze Golf Club. A group of golfing friends formed the idea together to build a golf course convenient to golfers living in Florence. In 2000 the Parco di Firenze Golf Club (a par 28 9-hole course) opened on an islet near the Cascine Park, the largest public park in Florence (some 160 hectares). In Renaissance times the Cascine Park comprised the noble Florentine de’ Medici family’s hunting grounds. 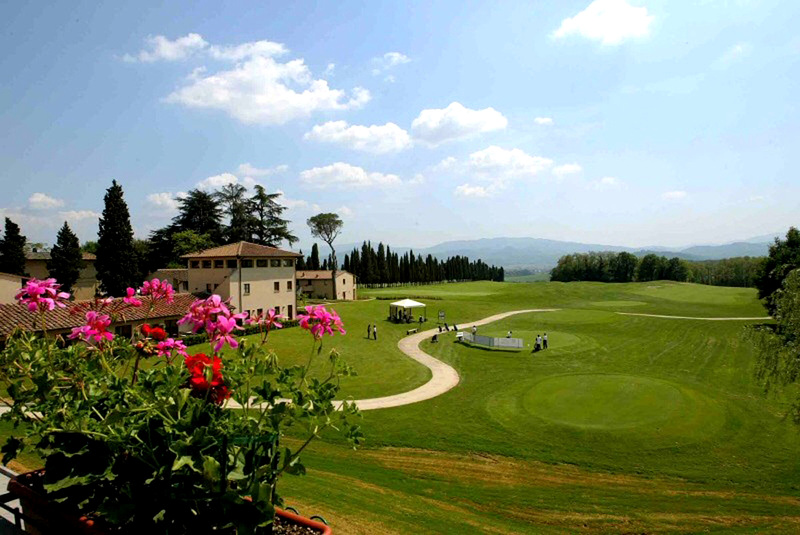 The Parco di Firenze Golf Club is some 38 km from Villa Campestri. At first glance the Ugolino Golf Club (a par 71 18-hole course) may perhaps seem a more gentle challenge being “only” 5,676 metres long. However, built in 1933 and designed by British architects Blandford and Gannon, the course follows the stunning countryside of the rolling hills of Chianti and exploits, in the best way possible, the natural characteristics of the place: cypress trees, olive trees, slopes. It is located on the Chiantigiana, south of Florence and about 40 km from Villa Campestri. The Le Pavoniere Golf Club is located near Prato within the park of the Cascine di Tavola, once part of the estate to the Villa Medici at Poggio a Caiano. The Golf Club is 66 km from Villa Campestri and is an 18-hole course, designed by Arnold Palmer, characterized by its technical linearity and landscape. The Club House can be found in a carefully restored old farm built for Grand Duke Leopold II of Tuscany. 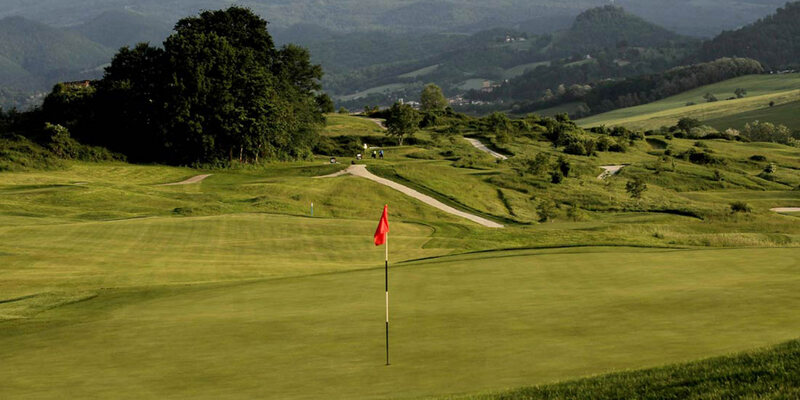 The Golf & Country Club can be found in Pievaccia, near Montecatini in Monsummano Terme, 90 km from Villa Campestri. The course, is a par 72 18-hole course and about 6,000 metres long following the shape of the hilly site. It presents some holes of extraordinary technical yet scenic attraction: the front nine are characterized by olive trees that mark the edges of the fairways, while the back nine are accompanied by the richness of the Mediterranean flora. Two natural lakes make the game even more complex and challenging. The Club House, constructed on the site of Etruscan and Roman settlements dating back to before 1000, has been fully restored.